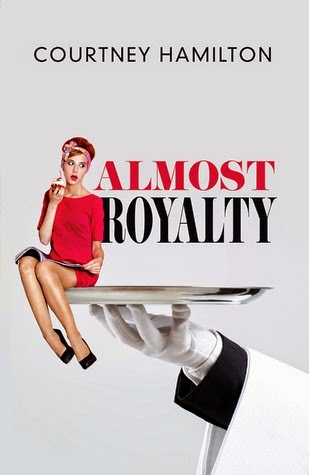 Laurie Here - Contemporary Fiction and MORE - Book Reviews: INTL - Courtney Hamilton's "Almost Royalty" Worst Break-Up EVER #CONTEST! Now to July 5th! INTL - Courtney Hamilton's "Almost Royalty" Worst Break-Up EVER #CONTEST! Now to July 5th! What is your “Worst Breakup Ever” experience? Share your story in the comment section below. Enjoy the “Worst Break up Ever” contest and, for the first time, download your Kindle copy of Almost Royalty by Courtney Hamilton for . . . only 99¢! Let the Worst Breakup Stories Ever begin! Well, I can't think of a break-up that I went through in which when we broke up and it was bad, as that was a LONG time ago! I could tell you a story about my final day of divorce and how I got that finalized, but I'll spare the embarrassment of the ex on that one! LOL! Just when does a marriage end, anyway? I say the DAY the divorce papers are filed FOR divorce. Why else would you file if the marriage wasn't over? I did nothing wrong, heck, we were already 1 month OVER 1 year since I filed! Come on! It was dragging on! Let's just get this over with! So "I" took care of it! Sorry I can't go into more detail than that, but there was a HOT guy there!! :) XOXOXO! I'm anxious to hear what YOU have to tell all of us! Well, I can't get the blogs copied and pasted. It's not working. For that, you'll have to go to the Author's website. Here is her link - http://ecochainofdating.com/blog/?p=1579 Have FUN reading all the stories!!!! Good luck! 10 months after my fiance' proposed to me, he told me that he had entered therapy and discovered that he had never loved anyone: including me. We were 12 weeks from our wedding date and I had the dress, the bridesmaids, etc.. He no longer wanted to marry me, but wanted to continue dating: he wanted his new employers to see him at firm functions with a date, as he felt that this would increase his options of getting an offer of permanent employment from this firm. There was no promise of when or if, we would ever marry. I had realized a few months earlier that he had all the signs of a control-freak monster, as he had started telling me how I should dress-- so this just made it easier for me: I broke-up with him on the spot. He wanted the ring back and his mom (who had insisted that she would wear a full-length white ballroom gown to the wedding), wanted the "diamond" (cubic zirconia) chip earrings back that she had given me. He also wanted back every piece of furniture and household cooking item that he had ever given me. Later, as I was getting my dress altered for my wedding to the wonderful man who is my husband, a friend told me "you got a better guy and you got a better ring." But to cap things off, not long after I married my husband, control-freak guy contacted me and asked me for work. I LOVE the ending of your story! As for the control freak - jeeze! EVERY item he EVER gave you? Did you do it? I would have told him to go blo .. .. . .!!!! LOL! You are WAY better off now! GREAT foresight! I do need to correct you, though. I am not 'Lori's Reading Corner'. That is another blog! LOL! I know, the name Laurie and Lori is EASY to mix up. No problem! Oh my gosh! I'm so so sorry for the mix up! I'm not going to make any excuses, but I'm so sorry for the mix up. I'm so happy you were able to host my worst breakup ever contest on Laurie Here*!